From desk jockeys to endurance athletes, just about everyone suffers from tight hip flexors at some point. The muscles in and around your hip joint could be responsible for your back pain, the funny twinge in your knee or the tension you feel every time you do crunches. When you understand the underlying cause of the discomfort, you can take action to unlock your hip flexors and regain mobility. Starting a regimen of hip flexor exercises to target stiff hip muscles can bring relief from tightness and improve your performance in sports, workouts and everyday life. 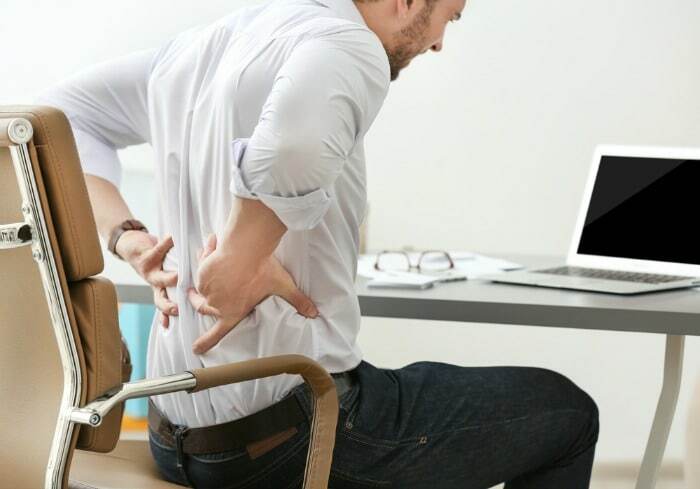 This guide is designed to help you understand more about what causes hip flexor pain, how to correct problems and how to minimize the risk of complications in the future. What Exactly is a Hip Flexor? Any motion in which muscles bring bones closer together is called “flexion.” When you pull your legs toward your body or lift your abs toward your legs, the hip flexors are the muscles responsible for the movement. This group of several muscles is located deep in the body, so you might not even be aware of them until you begin to experience pain from tightness or overuse. The major muscles of the hip flexors are collectively called the iliopsoas and consist of the iliacus and the psoas major. The iliacus muscle begins at the top of the pelvis and connects to the femur. The psoas starts in the lumbar region of the spine and stretches down to meet the same bone. Several supporting hip muscles aid in movement, including the sartorius, pectineus and tensor fasciae latae. One quadriceps muscle, called the rectus femoris, crosses the hip joint and is also considered a hip flexor. This complex group of muscles work together with tendons and ligaments when you run, ride a bike, do a “rock hard abs” workout or participate in sports involving sprinting. Hip flexors need to be strong and flexible to support these movements. Tight muscles increase the risk of injury and can cause pain even when you’re at rest. Learn more about the importance of hip flexors here. Even if you’re not an athlete, the state of your hip flexors is important. Any movement involving bending over or pulling your knees toward your chest involves this group of hip muscles. When you hoist a basket of laundry, crouch down to grab something off a low shelf at the grocery store or decide to take the stairs up to your office instead of the elevator, you’re asking your hip flexors to work. Simply standing up also requires good hip flexor strength. If your hips are weak or tight, your posture suffers and your lower spine is put under more pressure than it’s meant to take. Your knees can also wind up taking too much of a load as your body attempts to compensate for stiffness elsewhere. These types of imbalances may lead to injuries now or increase the risk of joint degeneration if you develop arthritis as you age. During workouts or sports, hip flexors help activate the hips and glutes, increasing the effectiveness of exercises such as squats and deadlifts. You need mobility in your hips to maintain good form during these movements and to support speed and power in other types of activities. If you want to jump higher, run faster or lift more weight, you can’t neglect the deep muscles in your hips. The strong, flexible hip muscles you were born with are meant to power your legs throughout your entire life. When you were a kid, it was easy to run around, ride your bike, jump around, swim and generally be as active as you wanted without waking up in the morning and feeling like someone was taking a flame thrower to your hips. What went wrong? Imbalances between hips and hamstrings can also cause hip flexor problems. Failing to stretch after exercise or focusing too much on the backs of your legs without also performing hip flexor exercises leaves some hip muscles loose while others continue to tighten from lack of movement. Failing to address tight hip flexor muscles could mean you’ll need a hip replacement in the future. This is one of the reasons why hip flexor stretches to maintain a full range of motion in your hips is so important. Less movement can lead to unhealthy joints and premature wear requiring surgical intervention. In some cases, your symptoms may indicate a more advanced or serious problem. Iliopsoas tendinitis, in which hip flexor tendons become inflamed, is one possibility presenting with tenderness and “snapping” in the hip socket. Strain on the hip flexors can cause the muscles to tear, and this condition can range from minor to severe depending on the extent of the injury. If you’ve determined your discomfort is caused by stiffness in your hip flexors, don’t worry. You’re not stuck with shortened or weak hip muscles for the rest of your life. A few simple hip flexor stretches can help loosen up tight hips, increase range of motion and strengthen areas suffering from lack of use. Deep stretching should always be done after a workout or as a separate session. Performing extensive static stretching before exercise can increase your risk of injury. Stretch on a mat or other soft surface to protect your back and knees. Remember to talk with your doctor before starting any new kind of exercise, including deep stretching, to determine the most appropriate regimen for your condition. Pigeon targets deep hip muscles and provides a secondary stretch for the core. Begin in a low lunge position with your right foot on the floor and your knee bent at a 90-degree angle. Stretch your left leg behind you, balancing on the ball of your left foot. Place your hands on the ground on either side of your right leg. Gently walk your right foot toward your left hand, flex your toes and bring your right knee toward the ground, maintaining the angle as you do so. If this is uncomfortable, pull your right foot closer to your hip. Slide your left leg back until the top of your thigh rests on the ground. Using your hands, gently press up until your spine is straight. To deepen the pose, place your forearms on the ground and lean forward from your hips. Depending on your flexibility, you may be able to rest your forehead on the ground. You can deepen this stretch even more by adding a twist. While in the upright position, slowly bend your left knee. Reach back and grab your foot with your left hand. Pull your foot as close as your flexibility will allow. Release carefully, avoiding any snapping or swinging motions with the left leg. Repeat the stretch on the other side. If you need to stretch out your knees and your groin area as well as your hips, butterfly is a great multi-purpose stretch. You should feel a deep release in several commonly tight areas as you perform this movement. Start sitting upright with the bottoms of your feet together. Take hold of your feet, guiding them as close as you can toward your body. Concentrate on pulling your legs into your hip sockets as you lengthen your spine. It may help to imagine you’re trying to reach the crown of your head toward the ceiling. Once you’re sitting as straight as you can, begin to actively push your knees toward the ground. You can pull your toes up at the same time to add another dimension to the stretch. For a deeper release in the hips, place your elbows on your legs as you lean forward. Push down gently, leaning only as far as you can without overextending your hips. If possible, round your spine and bring your forehead to the ground. Roll back up to return to a seated position. Following up your butterfly pose with a seated hip stretch moves the release from the groin to deeper in the hip socket. This is a good stretch to do after a high-intensity cardio workout or if you’ve spent most of the day sitting at your desk. Sit upright with the soles of your feet together in front of you. Using your hands, pull your feet in until they’re about six inches away from your hips. This alters the butterfly position to target a different part of your hip area. Straighten out your spine as you did for butterfly, concentrating on sitting as tall as possible. Lean forward slowly, maintaining the length of your spine as you do so. You should feel the stretch inside your hips. If the release is still mostly in your groin, sit back up and move your feet out a couple more inches. Round your hips forward slightly as you lean forward again. In this stretch, you don’t want to round your back or try to push your head too far toward the floor. Stop at whatever angle feels right for your current level of flexibility. Bridge pose often appears in yoga routines as part of backbending sequences, and it’s just as good for your hips as it is for your spine. Lie down on your back. Place your feet flat on the floor about as far apart as your shoulders. Bring your heels in toward your glutes until you can touch your heels with your fingertips. If you’re not used to the bridge position, place your arms and hands flat on the ground for extra support. When you gain more flexibility, it may be possible to lift your hands while your elbows rest on the floor. Slowly lift your tailbone off the ground to elevate your hips. Regardless of hand position, avoid pushing down on the floor with your arms as you lift. Instead, push evenly into both feet until your hips are as high as possible. Stay in this position, or try interlacing your fingers together behind your back and extending your hands down toward your heels. To come down, unclasp your hands and slowly roll the spine back to the floor from top to bottom. Pay attention to your knees as you do this stretch. Improper positioning can put strain on the knees or cause them to wobble out of alignment. Keep your knees pointed forward and your legs parallel to each other. Allowing the knees to track outward or bow in minimizes the effectiveness of the pose. Performing lunges without weights helps target the hip flexors to improve range of motion during your regular workouts. This stretch also allows you to focus on posture and correct any problems with alignment before returning to weighted exercises. Place your left knee on the ground and your right foot flat on the floor with the knee bent at a 90-degree angle. If your left knee is uncomfortable in this position, put a folded blanket or small pillow on the ground underneath it for extra support. Place your hands on your hips, and keep your head in alignment with your hip bones while you lengthen your spine. As you deepen the stretch, you can keep your hands where they are, move them to your knee or reach one hand above your head. Choose your position before gently pushing forward, maintaining a flat back as you move. You should feel the stretch shift into the hip flexor. Push back to the starting position, and switch legs to repeat the movement on the other side. A stretching regimen can go a long way toward making your hips healthier, but it’s also important to adopt other good habits. Fixing the underlying cause of hip flexor pain makes stretching more effective and helps prevent your hips from locking up again over time. If it’s been a long time since you last had a consistent exercise routine, consider working with a trainer to put together a regimen designed to minimize hip strain. Make these and similar videos as part of your daily stretching routine to unlock your hip flexors, release tightness and promote mobility. Progress at your own pace, working toward more advanced ways to stretch hip flexors as your flexibility increases. While you’re working on hip flexor exercises, minimize or avoid movements in which pressure is put on your back. This includes lengthy abdominal workouts and exercises involving leg raises. If your regular exercise routine involves squats and deadlifts, consider modifying the movements or lowering the amount of weight you use until a full range of motion is restored. When stiff hip flexors are the cause of your pain, you should begin to feel better after you begin a regular stretching routine. However, if you stretch hip flexors when you have a more serious injury, you could make the problem worse. Monitor your level of discomfort, and see your doctor if the condition doesn’t improve. You may need imaging tests to rule out a torn hip muscle or other damage. Your doctor might also recommend physical therapy to better target tight areas and ensure you perform the correct types of stretches to facilitate healing. Whether you work to strengthen hip flexors on your own or with professional guidance, you’ll experience better performance in all areas of life. Thanks for sharing,i have learn more about unlock hip flexors from your article. Thank you again.